Words cannot express how happy we are to have found Samantha and her wonderful team at Corner House Photography for our wedding! Both as a couple and separately we did not have much experience taking any professional photographs and both feel a little shy being the center of attention on camera. Very shortly after meeting Samantha at our engagement shoot we were so happy to let our guard down at how wonderful it was to work with her. The photo shoot felt so natural, as if we walking around Disney’s boardwalk with a friend, having a blast! Our wedding day went so wonderful and smoothly. Samantha was able to complete our requests of the photos needed and follow the timeline perfectly, so much that we were able to be ahead of schedule (which was such a stress relief)! She knew the exact moments to capture and found the right location for everything. Her second shooter and videographer, Amanda and Samantha were such a joy to be around and were also perfect at their jobs. We couldn’t have picked a better team! As if being wonderful to work with, good at their jobs and all around nice people weren’t enough, Samantha made the planning process such a breeze. As a couple trying to plan a wedding from out of state, we came to appreciate this so very much in each vendor we worked with. We never felt pressure or uncertainty and knew Samantha would give us her honest opinion while still keeping our needs as her top priority. If you are in need of photography for a wedding or any event you can’t go wrong with this company. We had the pleasure of working with three of her employees as well as the owner Samantha herself and all were such a joy and did an amazing job. We are so happy to have found you guys and thank you again so much for giving us the most beautiful photos and video that we will cherish forever! We will see you again soon for our next photography needs! Samantha did a fantastic job on our wedding and ‘engagement’ photos. At the ‘engagement’ session, we had to overcome challenging weather conditions and she was able to capture many wonderful outside shots. She suggested a change of clothes (which turned out to be genius) and she took many more terrific photos inside. Her attention to detail was extraordinary. At the wedding she did a great job dealing with our guests who all wanted to get in and take their own photos. She was able to capture some absolutely magical moments. The pictures turned out fantastic and we could not be happier. We posted many pictures on Facebook and all the feedback was positive. We had many family members and guests ask ‘where did you find that photographer, she is awesome’. Raul and I highly recommend Samatha and Corner House Photography for anyone looking for a photographer. She is a wonderful photographer and very easy to work with. I cannot express enough how wonderful Samantha is!!! When I got engaged I spent HOURS researching photographers online and as soon as I came across Corner House I knew it was the one. When I met Samantha in person for our engagement photo shoot, that sealed the deal even more. She is so kind, personable, and professional and she guided us through our entire wedding photography journey. I never had to worry about timelines. She covered it all and our wedding photos turned out better than I could’ve hoped. Samantha and her team are top notch in my book! Samantha is just incredible! When my fiance and I got engaged, she was very considerate of our circumstances (myself going to school and Arizona and my husband being in the military with limited availability to be back in Florida). We weren’t really sure where we wanted to do engagement pictures but she picked the perfect place that suited us well! After she sent us our pictures, we fell in love and receive numerous compliments from friends and family. When she asked about our wedding date, it was up in the air still at that point and she was fine with that! This past summer, we decided to elope and we were so happy with Samantha’s flexibility and willingness to shoot our elopement! The pictures were absolutely to-die-for and we couldn’t be happier! Samantha will be our go to photographer for all of our photo needs from here on out! Thank you so much, Samantha, for your beautiful work! Samantha and her team captured our September Wedding perfectly. Every single picture brought me back to that moment that me and my husband cherish so much. They were very organized and kept things moving to where I had nothing to worry about which is how it should be. I will definitely be recommending Samantha to friends and family. Thank you so much for being so sweet, and nice, and so professional!!!! I absolutely loved Samantha!! We clicked immediately from our 1st telephone conversation. She went above and beyond of what I would have expected from a photographer. From helping booking a venue for our engagement shoot to delivering beautiful photos in a fast manner, I can’t say enough about how wonderful my experience was. The photos she takes are great and artsy! She listens to your needs and wants and delivers high quality photos. Samantha was so professional and detail oriented. I was so impressed that Samantha did a great job of showcasing the beauty in all of my very diverse wedding party and guests, which not all photographers have the ability to do. Samantha has a great sense of use of lighting and other photography techniques. It rained on my wedding day and we even got amazing photos indoors despite the sometimes tricky non-natural light. She is great at keeping a schedule and communicating without being rude or pushy, and she is good at keeping a bride and groom pleased during the event. I would use her again for future events for sure! Samantha goes above and beyond to make her clients, feel comfortable and look great! As a bride and groom who both prefer to be behind the camera rather than infront of it, Samantha made us feel natural and shot magical moments at both our engagement shoot and wedding. Even our wedding guests were commenting on what a great photographer we had. She was able to capture the little moments that meant so much. We never felt like we had a camera in our face. And after viewing the pictures, we realized just how many moments Samantha caught, that we had missed. I highly recommend Samatha and Corner House Photography to anyone looking for a photographer. You can tell she puts her heart into her craft and it is reflected in the quality of the photographs we received. We are so beyond grateful for Samantha! Our engagement photos came out perfect!! I sent her an image of what I was looking for and she made my vision come to life. From location to poses it was all perfect. Can’t wait to use her for our wedding day! Highly recommend Corner House Photography! As the mother of the bride over a year ago we began looking for a photographer. We emailed at least 5 and Samantha promptly responded back within the same day. A couple of the others took about a week and one never responded back. Samantha is so professional, kind and overall awesome! We are so happy we had her as our photographer. Can’t wait to see all of our amazing photos! Samantha was absolutely amazing! Talk about grace under pressure. We had a brunch wedding, so not a lot of time to get ready or take pictures before hand but she used the time we had expertly and we got some really amazing pictures. I was so impressed but her organizational and time management skills because it meant it was one less thing I had to worry about on my big day. She did a great job capturing so many little special moments. Some of my favorite pictures were the split second reactions I had roughout day that I was really surprised she was able to capture. My dog was part of the ceremony and reception (my pup of honor, if you will) and Samantha went ABOVE AND BEYOND to capture her interacting with the entire bridal party, family, and myself. It was amazing the effort she put in to getting my dog’s attention for the formal photos and it really shows. I also HAVE to mention the turn around time! Holy moly. We had our (adorable) USB in less than 2 weeks. Samantha is truly magical. The things she accomplished and the shots she got on our wedding day continue to blow my mind. Everyone should book her for all the things. Corner House Photography is the definition of perfection. They capture your most special day in the most beautiful way. We had the pleasure of working with them on Morgan and Tyler’s St. Augustine Wedding, and would highly recommend them to any of our brides! We hired Samantha for our wedding at the Winter Park Farmers Market. Samantha is not only an extremely talented photographer, she is also a wonderful person! She perfectly captured our wedding. I could not have asked for a better photographer! She was able to handle my large bridal party and family. She directed everyone in a calm and professional manner, and made sure all photos I wanted were taken. Over the entire process Samantha made sure everything was personalized to us. She listened to and respected every request. Leading up to the wedding, if I had a question, concern, or thought, she always responded in a timely manner. She truly cares about her clients. She is responsive, talented and professional. Samantha sent me all the photos from the wedding in an adorable key shaped flash drive within 2 weeks of the wedding. I could not have been more impressed with the final result. She perfectly captured our wedding – not only some priceless moments but the overall environment of the wedding. My husband and I could not be more thankful for her! We hired Samantha for our wedding on December 20, 2015 at Timacuan Golf & Country Club. We found her because she was on the preferred vendors list, and we are so glad that she was. We had called several other photographers but they never even returned our voicemail. Samantha got back to me right away, explained her vision, asked for our input, and was available through phone or email at any time before our wedding day. On our wedding day she was there early and stayed until the end to capture every moment imaginable. When it was time for her to run the show and take the bridal party pictures she did it flawlessly and efficiently. After that you didn’t even know she was there, but it if anyone had a specific picture request she would take it no problem. We received over 950 pictures from Samantha and couldn’t find a flaw in one. We received them on a USB and within 3 weeks as she told us from the beginning. Samantha has a website that she blogs on and we even got to see a sneak preview of the pictures before ours arrived which was awesome. I would recommend Samantha to friends, family, and complete strangers. She was exactly what I envisioned a perfect photographer to be. We are so glad that we hired her. I found Corner House Photography online and looked at the website because they were Voted Top 3 for Weddings in Central Florida. Our family would put her at Number One! I am so pleased with every aspect of our relationship with Samantha! She was very accommodating since our daughter and her fiance were out of state, but planning a Florida wedding. We were immediately drawn to the beauty and artistry of her photos. Her knowledge, imagination, creativity and personality all combine to make her photos amazing! Samantha is very professional, but also felt like a close friend. Always kind, patient and guiding us through the process so that everyone was at ease. Instead of an Engagement Session we asked for a Bridal Session. What a fun time we had and so many beautiful photos to see! Many were absolutely breathtaking! We eagerly awaited the photos from the Wedding Day and Reception! We are not disappointed in any way! Every photo tells a story! Every minute of the day and every detail was captured with stunning photos that will be cherished forever! My daughter and I had a vision and Samantha totally captured it! I came across Corner House Photography on the Knot and was immediately impressed with her work and so many 5 star reviews. 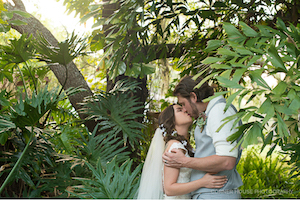 I live in Arizona and planned my wedding in Florida from across the country and was nervous about working with a photographer I had never met in person. On the day of our wedding, she worked so hard to make sure every special moment was captured and I could not be more happy with how my wedding photos turned out. They are all absolutely breathtaking and I would recommend Samantha a million times over! Samantha and her team have a great way of providing exceptional professional photography and yet still have the ability to provide excellent customer service and make you feel like you’re their only client. Samantha’s ability to coordinate and artistically set a shot is what sets her apart from others. Highly recommended and would hire again without question. I can’t wait to use her in the future for family photos! Samantha is a truly a delight to work with. It started with the engagement photos that she took of myself and my now husband. I told her that I wanted a whimsical photo shoot in the water- something out of this world. She immediately ventured on finding us the perfect location. She visited natural springs herself in order to find the right place to do the shoot. When went to take the photos, Jack and I had so much fun following Samantha’s creative vision for the shoot. She was very contentious of what I wanted, but also took the necessary steps to ensure that we got those results. On the day of the wedding, Samantha and her team were amazing. They made sure to follow our timeline strictly, which put me at ease. Samantha made sure to get every single shot that I wanted. My favorite thing about her is how she considers every person involved. Nobody felt left out or forgotten while we were taking family photos. Also, she was very engaged on the dance floor; those photos turned out to be my favorites! Overall, Samantha is driven, positive, creative, energetic, timely, and professional. I would highly recommend choosing Corner House Photography! I do not even know where to begin or how to capture in words how great Samantha with Corner House Photography is! Samantha goes above and beyond with every single shot. We met Samantha when our daughter first got engaged. She came to our home and walked thru and added to the vision we had for her wedding. When Samantha and our daughter discussed their engagement shoot, I could have never imagined how beautiful the pictures would be. She took the vision and ran with it. The engagement photos look like something out of a fairytale! Samantha was more than accommodating with our last minute location changes. She knew just how to take charge and get everyone where they needed to be and made everyone feel at ease. Samantha and her crew captured every little detail and most importantly she focused on the bride and what she would want! Thank you from the bottom of my heart Samantha! Your gift and talented eye for photography is truly mind blowing! Corner House Photography embodies everything you need for wedding photography. And Samantha takes what you need, and goes so much further. Her professionalism, talent, and rapid turnaround are first rate, and we were consistently impressed and grateful for her hard work. Samantha guided us through our engagement photos with grace and ease, and we cherish those in our hearts deeply. Her poise and quick thinking return the best results, and we could not ask for more, as she exceeded our wildest expectations. With two shooters on our wedding day, Samantha and Steve covered our event and returned to us (within a week!) a battery of fantastic memories for our whirlwind day. Corner House Photography provides everything you will need for your special day, and they will go further than you can think of and surprise you on delivery. Thank you so much for making our day picturesque! Samantha was such a blessing to have on our wedding day! She really knows how to manage a large crowd and handle all the stresses that come along to capture not only all the little details, but importantly the essential family portraits that captured the union of our families. She is prompt, responsible, and her experience speaks numbers! My husband and I used her services for an engagement session as well, this was very useful to getting comfortable under the lenses- these pictures all turned out great! Needless to say, we are very pleased with how quickly photos were returned to us and extremely happy that Sam was able to give us so many pictures that truly captured all the good times of our wedding.